Based in Chandigarh, we are a prominent Travel Agency, offering you its Cruise Services. We make available our Cruise Services for destinations such as Hong Kong, Singapore and Malaysia. 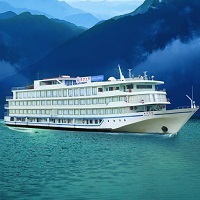 Cruise tours offer a thrilling experience and are a great way to explore these destinations. Our expert team helps you in getting bookings for the best of cruise tours at these places. We ensure to assist you through every step of your travel so that your vacation is full of comforts and devoid of worries.